Welcome to Harry and Lloyd’s Predictions GW13. It was a low scoring game-week in both the Premier League and over here at H&L HQ in GW12. Man City (predictably) were the only team to score more than 2 goals and only Cardiff, Liverpool and Newcastle (get in!) the only teams to score more than 1. Nothing but hard facts here ladies and gents! Only 10pts were required to take top-spot this week, that honour went to Offalymartin. Iggy4 took second with 9pts and everyone and their dog turned up with 8pts to make it a tight squeeze on this weeks podium. 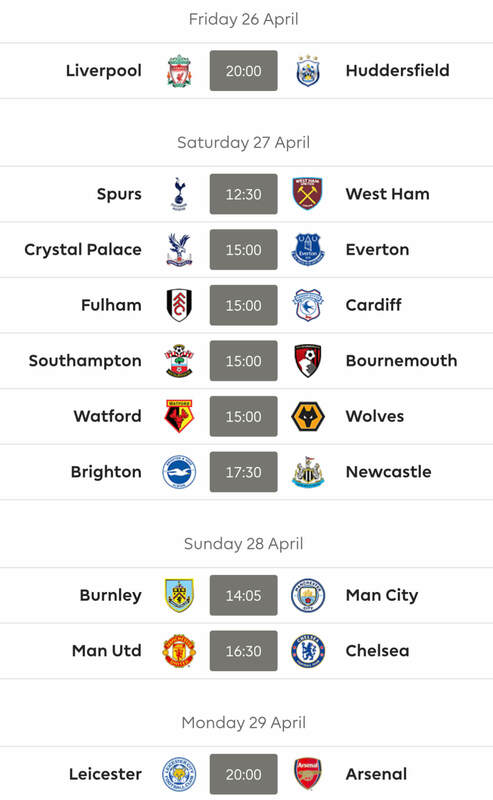 This game-week kicks off in the traditional three o’clock Saturday slot, making it all the more interesting (and difficult) to pick the first goalscorer; good luck! Congrats to Offalymartin on his win, please email us at contact@fantasyfootball247.co.uk to claim your prize. In the event that two or more members are tied as winners for the week the overall winner of the t-shirt will be decided by a tie-breaker. In order to do this, we ask that you also post your prediction of the time that the first goal of the week will be scored at. Nearest the pin wins. They are few; 1 entry per person and all entries must be submitted prior to the first game of the game-week. Kick-off this week comes on Saturday at 15:00. Once all the games have been played, we’ll count up the scores and the winner(s) will be announced in the following week’s competition article and each week our winner will walk away with an FF247 branded t-shirt! 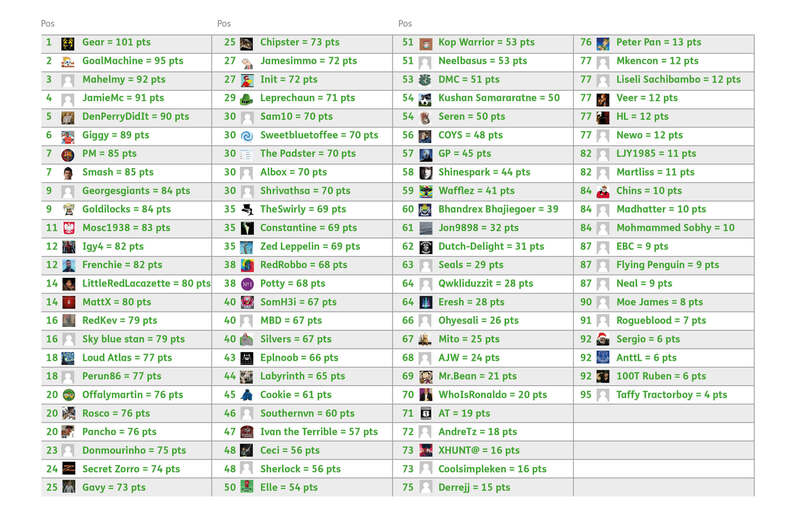 We also have an overall league table which we’ll update on a monthly basis (next update in our GW15 article). – Copy and paste the fixtures from below and pop your score prediction on each. 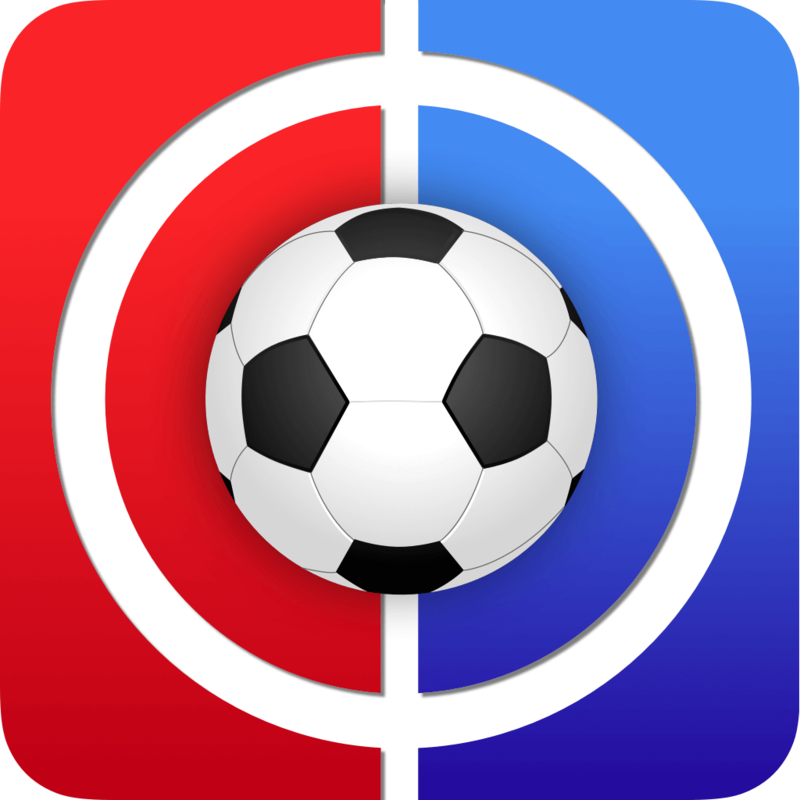 – Add in your time of the first goal of the week for any potential tie-breaker situation. 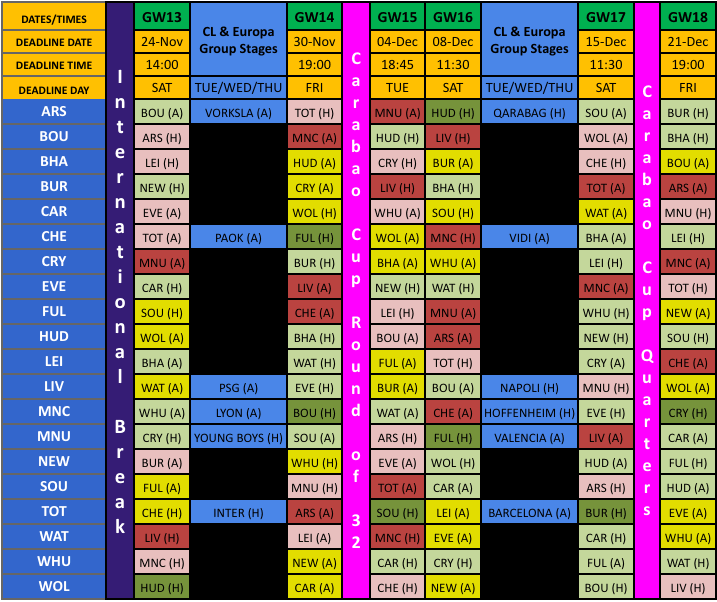 This is how we stood as of GW10, the latest one will be updated in a few weeks so this is just for general reference really. This article was written by Harry and Lloyd… aka Matt and Rosco.